Rachel Santos made fashion history on Wednesday when her upcycled bucket purse took home the prize for “Timberland Best Green Handbag” at the Seventh Annual Independent Handbag Design Awards. 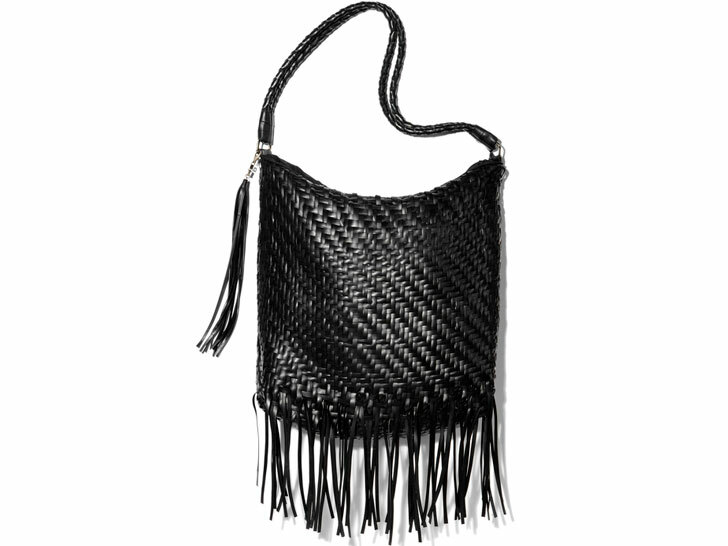 Crafted from discarded mountain- and road-bike inner tubes, repurposed D-rings, and cotton for its lining, the fringy, bohemian number succeeds Kempton & Co.’s flour-sack carpetbag as the fourth recipient of the prize. Santos, the principal of Dante Robles Design in California, isn’t your average designer. The Bay Area native, who boasts a bachelor of science in environmental studies, has worked in the field of open-space preservation for more than 15 years. A partnership with Timberland, which sponsored the award, is therefore more than ideal, according to Santos. “Timberland is a company that makes products for hikers and using upcycled materials in their products would promote open-space preservation,” she says. Timberland says that 39 percent of its materials comes from recycled, organic, or renewable resources. Timberland’s 2012 corporate social-responsibility report, which the outdoor-apparel company released in late May, estimated that 39 percent of the materials it uses comes from recycled, organic, or renewable resources. Another fun fact? Carbon emissions from Timberland-owned and -operated facilities dropped by 10 percent in 2012, or 46 percent since 2006. Rachel Santos made fashion history on Wednesday when her upcycled bucket purse took home the prize for "Timberland Best Green Handbag" at the Seventh Annual Independent Handbag Design Awards. Crafted from discarded mountain- and road-bike inner tubes, repurposed D-rings, and cotton for its lining, the fringy, bohemian number succeeds Kempton & Co.'s flour-sack carpetbag as the fourth recipient of the prize. Santos, the principal of Dante Robles Design in California, isn't your average designer. The Bay Area native, who boasts a bachelor of science in environmental studies, has worked in the field of open-space preservation for more than 15 years.